The President’s Award Nationally Recognized For Our Customer Service and Our Sales and Service Excellence! Award for outstanding sales, service and customer satisfaction. Recipient of the Presidents Award 15 year out of the last 16 years running. Each year, Toyota Motor Sales recognizes its stellar dealerships with the prestigious President’s Award. It’s a very high honor a dealership can receive from Toyota, and is only awarded to those dealerships who have demonstrated a commitment to maintaining Toyota’s high standards for customer satisfaction. One of Toyota of Redlands primary goals is to emphasize the entire ownership experience. We want to help ensure that our customers are satisfied not only at the time of purchase, but as long as they own their vehicle. Offering top quality cars and trucks is, of course, the first step – but only the beginning. Consideration of each customer’s valuable time. 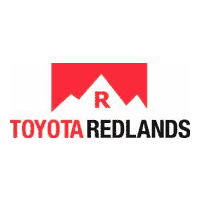 Toyota of Redlands strives to match our product quality with the finest service in the industry. In order to qualify as a President’s Award winner, dealerships must excel in each of a series of categories, including Customer Sales Satisfaction and Customer Service Satisfaction. Dealerships which meet the requirements in all categories receive name badge recognition at all dealer events, national recognition in an Automotive News advertisement and, of course, the beautiful President’s Award Tiffany crystal trophy!